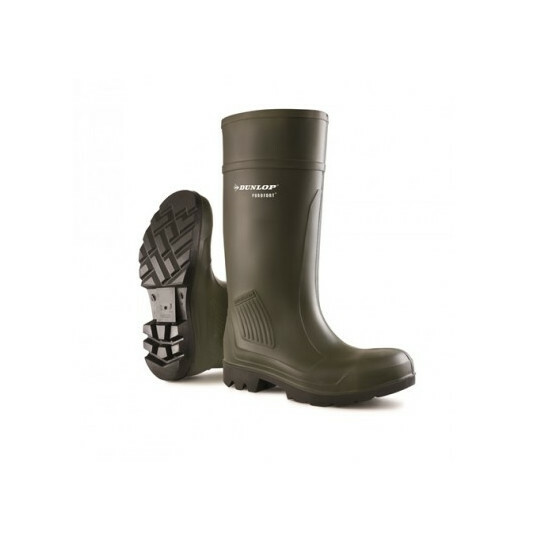 The Dunlop Purofort Professional wellie boots include a number of upgrades to the original Purofort welly. The Purofort Professional have an antibacterially treated red lining, and an improved insole with 3 x better moisture absorption and 100% better energy absorption. These lightweight boots are highly durable, with thermal insulation down to -20°C and a wide tread for different surfaces and non slip resistance. Available either with (safety) or without (non-safety) steel toe caps and steel midsole for impact and penetration protection. There are currently no questions for Dunlop Purofort Professional Wellington Boots - be the first to ask one!